The F-5 Freedom Fighter / Tiger fighter jet has been developed by the American company Northrop in 1954. 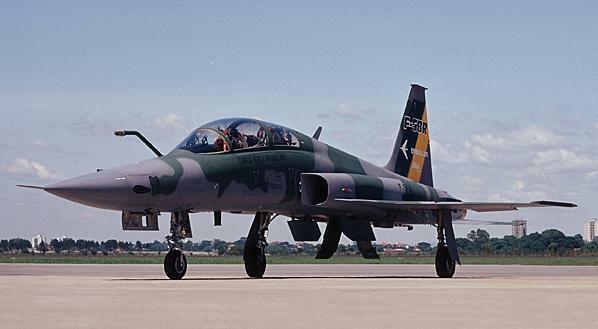 The first F-5 for the USAF was delivered in 1964. Operators (current and future) Austria, Bahrain, Botswana, Brazil, Chili, Greece, Honduras, Indonesia, Jordan, Kenya, Malaysia, Mexico, Morocco, Netherlands, Norway, Philippines, Saudi Arabia, Singapore, South-Korea, Spain, Switzerland, Thailand, Turkey, Tunesia, United States, Venezuela. Greece Hellenic Air Force is still using F-5 A/B Freedom Fighters. 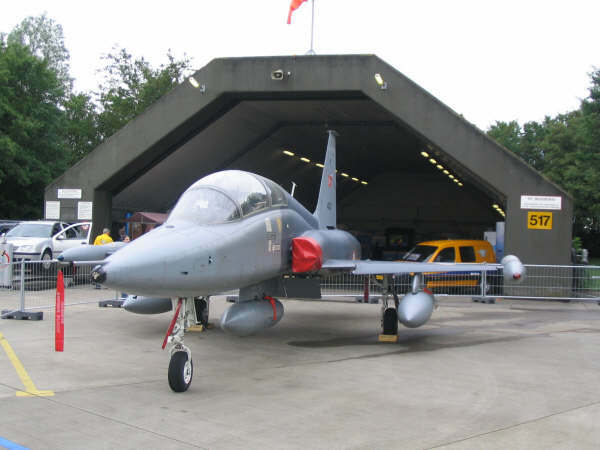 The Netherlands had 75x NF-5A and 30x NF-5B Freedom Fighters between 1969 and 1991 till they were replaced by the F-16's. 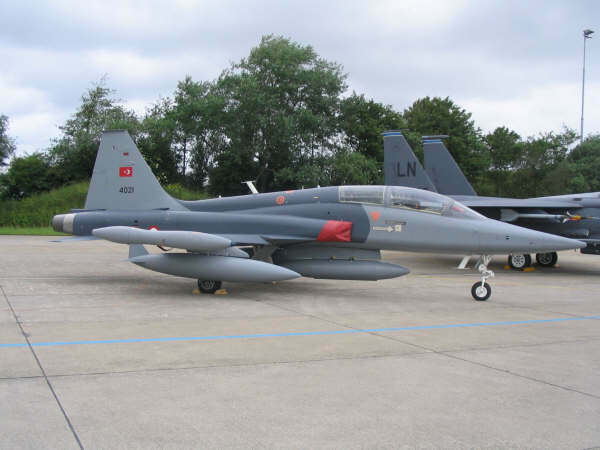 Some of the NF-5 tigers were sold to Turkey. 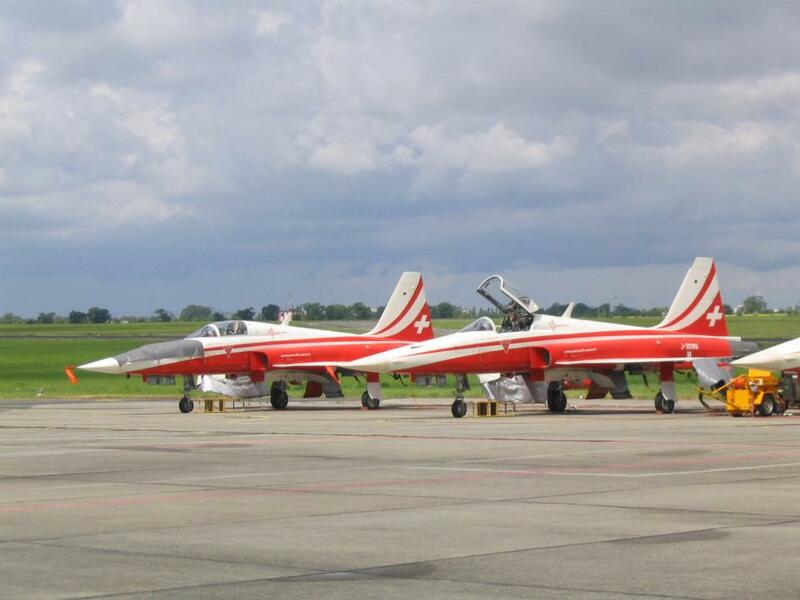 The Air Force of the Philippe nd which had the ability of 37 F-5A/B fighter jets in the beginning and later still 5 operational have been retired in 2005. 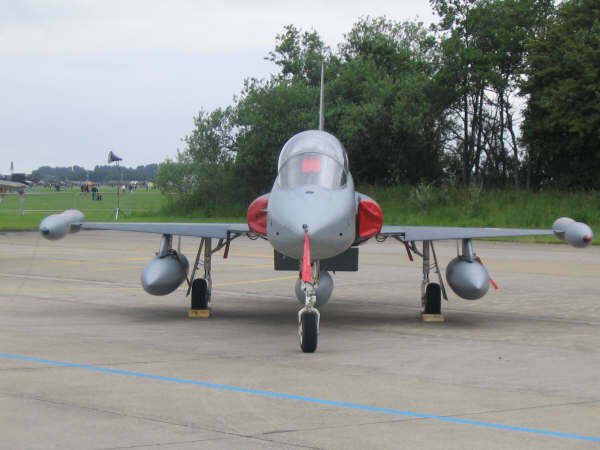 The role of the tiger will now be done by converted SIAI S.211 trainers which have machine guns, rockets and bombs. 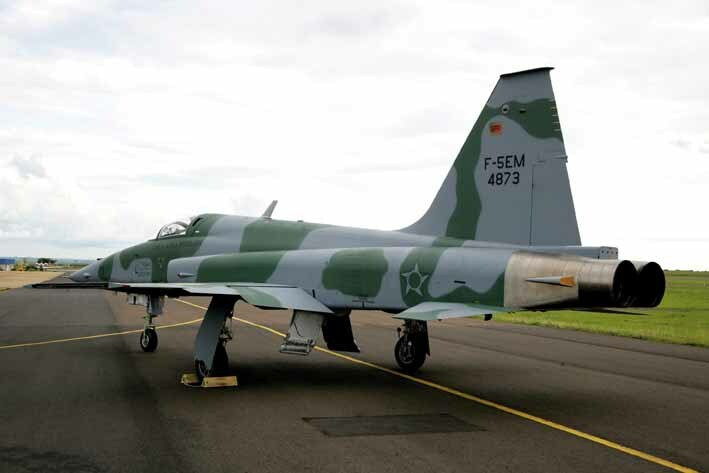 In 1964, the Spanish Air Force got 70 F-5A and B Freedom Fighters which were build under license of CASA in Spain. 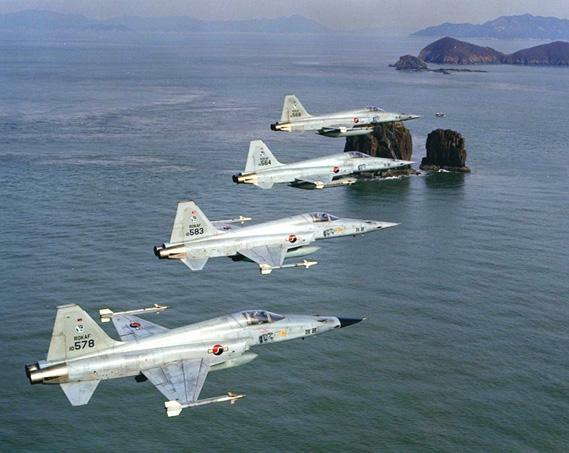 After being updated they are designated with F-5M. The +/- 13 remaining F-5M's are used for training puposes by Ala 23, stationed at Talavera la Real Air Force Base in Badajoz, Spain. 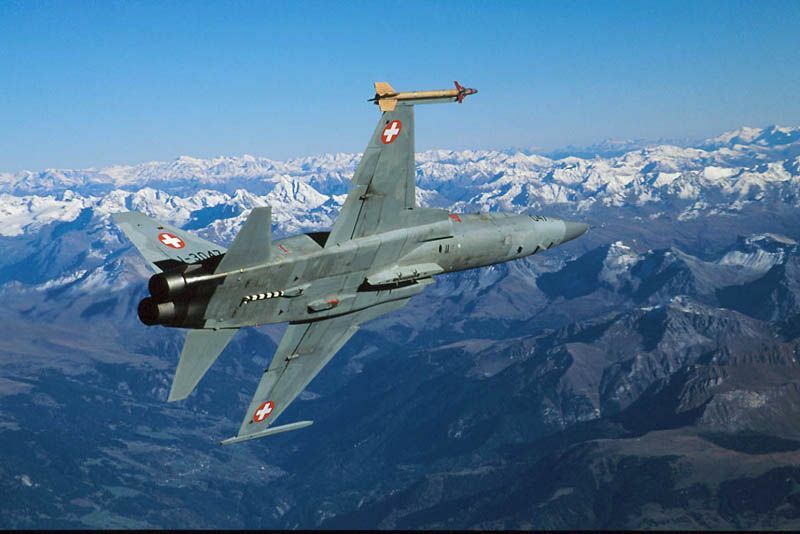 The F-5 is in service with the Swiss Air Force. 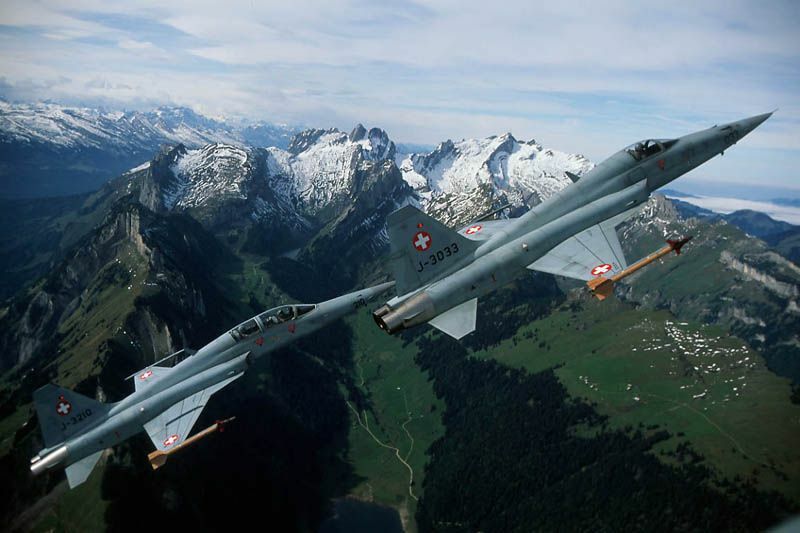 Swiss has leased a few F-5's to Austria which use the aircraft till they get the Eurofighter Typhoon tranche 2.